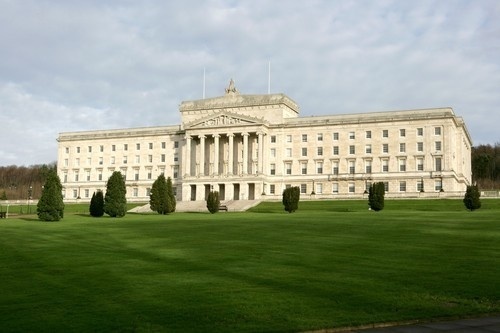 CRITICS of the Northern Ireland Assembly have made a hobby of claiming that it is dysfunctional and irrelevant – but even those outside the ranks of the usual naysayers must now know that Stormont’s credibility is on the line. Politics has played second fiddle to events on the streets for 12 months – through the violence of recent weeks, the flags crisis of last winter, and the riots of last summer’s marching season. And whether or not you agree with the DUP’s U-turn on the redevelopment of the Maze prison, the scale of this latest move underlines again that there isn’t a single decision taken in Northern Ireland’s government that is safe from the shifting electoral needs of the two big parties. When the Assembly returns next week, more people than ever will be asking the obvious question: Can it be taken seriously? One of the reasons for this uncertainty is because of the reality of how the political structures work. The Assembly chamber may be the stage on which debates are played out, and the location where votes are cast, but it is not the place where the real decisions are made. To find the real machinery of government you need to turn your back on Parliament Buildings and walk down the hill to where Stormont Castle sits behind a bank of trees on the sprawling estate. It is inside the Castle that Peter Robinson and Martin McGuinness have their main offices and it is in that building that their teams of advisers and party officials meet to hammer out deals on virtually every facet of government life. It is that clutch of Special Advisers and party planners at the centre of the rolling process of negotiation who really run things. If that machine stops working, it is absolutely irrelevant what debates are being held in the Assembly chamber – it will be nothing but a distraction. And at the moment, the machinery has a problem. It is supposed to produce deals: on downsizing local government, on education reform, on welfare reform, on the date for the next Assembly election, on roads, on hospitals, on the civil service, on tourism. In an earlier report by The Detail, available here, Sinn Féin President Gerry Adams referred to the negotiating process. “Negotiations are ongoing. Negotiations are now part of life. There isn’t a day goes past that Martin McGuinness and Peter Robinson – even though they might never use the word negotiation – aren’t talking about something and trying to come to some agreement," said the Sinn Féin leader. The work of every minister in the Executive is largely dictated by what happens in those private Stormont Castle deals because that’s where the DUP and Sinn Féin decide what will be passed by the Executive and what they will seek to block. After a decision is made in the Castle, it is rolled up the hill to Parliament Buildings where MLAs representing the two big parties vote the deals through. The criticisms levelled at the Assembly to date have largely centred on how slowly decisions are made, or on the gridlock over controversial issues. But it all relates back to the mood in the political centre of gravity – Stormont Castle. When the DUP and Sinn Féin teams are not in `deal-making mode’ – usually because relations between the parties has dipped for some reason – then everything grinds to a halt. Peter Robinson has previously spelt out his willingness to agree to deals with Sinn Féin, but under circumstances where the conditions are right. When he unveiled a package of proposals to tackle sectarianism alongside Martin McGuinness earlier this year, the DUP leader said: “One of the elements of leadership that is always important is to know just how far ahead of the pack that you should be. But if deal-making is the fuel that keeps the power-sharing government going – how often can deals become unstuck before the DUP and Sinn Féin are unable to do business? If that happens, the Assembly may keep going, but the real machinery of government will have stopped.